With the rapid development and wide application of the digital media technology,the information security problem is becoming more and more highly attention.Because of the various kinds of medias,previous research works have focused on a specific digital media from,such as text,image,audio and video.As a fact that all the objects were expressed in digital forms under the environment of computer and network,a unified form for all kinds of digital media under the complex number base system was proposed.The algorithm of the digital media signal and the complex number intercom version were given,so the relationship among the digital media could be converted to the corresponding geometric relationship on the complex plane.In the experiments,the proposed method was applied to the application of the digital media information hiding. 陈伟,陈亚楠,刘渊. 复数基下的数字媒体表达及信息隐藏[J]. 网络与信息安全学报, 2016, 2(12): 20-26. Wei CHEN,Ya-nan CHEN,IUYuan L. Digital media representation under complex number base and its application on information hiding[J]. Chinese Journal of Netword and Information Security, 2016, 2(12): 20-26. TAZ K T , ZHANG X P , DIMITRIOS A . Color image watermarking using multidimensional fourier transforms[J]. IEEE Transactions on Information Forensics and Security, 2008,3(1):16-28. URVOY M , GOUDIA D , AUTRUSSEAU F . Perceptual DFT wa-termarking with improved detection and robustness to geometrical distortions[J]. IEEE Transactions on Information Forensics and Security, 2014,9(7):1108-1119. 霍耀冉， 和红杰， 陈帆 . 基于邻域比较的 JPEG 脆弱水印算法及性能分析[J]. 软件学报， 2012,23(9): 2510-2521. HUO Y R , HE H J , CHEN F . Fragile watermarking algorithm for JPEG images based on neighborhood comparison and its perform-ance analysis[J]. Journal of Software, 2012,23(9): 2510-2521. 朱新山， 陈砚鸣， 董宏辉 ， 等. 基于双域信息融合的鲁棒二值文本图像水印[J]. 计算机学报， 2014,37(6): 1352-1364. ZHU X S , CHEN Y M , DONG H H , et al. Robust double domain watermarking for binary document image[J]. 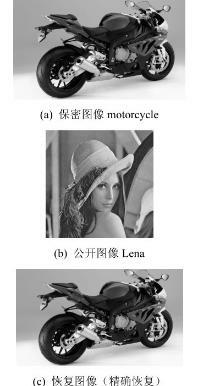 Chinese Journal of Computers, 2014,37(6): 1352-1364. HU X , ZHANG W , HU X , et al. Fast estimation of optimal marked-signal distribution for reversible data hiding[J]. IEEE Trans-actions on Information Forensics and Security, 2013,8(5): 779-788. 徐甲甲， 张卫明， 蒋瑞祺 ， 等. 最优结构相似约束下的可逆信息隐藏算法研究[J]. 网络与信息安全学报， 2016,2(2): 55-61. XU J J , ZHANG W M , JIANG R Q , et al. Optimal structural simi-larity constraint for reversible data hiding[J]. Chinese Journal of Network and Information Security, 2016,2(2): 55-61. LIN S J , CHUNG W H . The scalar scheme for reversible informa-tion-embedding in gray-scale signals:capacity evaluation and code constructions[J]. IEEE Transactions on Information Forensics and Security, 2012,7(4): 1155-1167. NATGUNANATHAN I , YONG X , YUE R , et al. Robust patch-work-based embedding and decoding scheme for digital audio wa-termarking[J]. IEEE Transactions on Audio,Speech and Language Processing, 2012,20(8): 2232-2239. ARASHDEEP K , MALAY K D , SONI K M , et al. 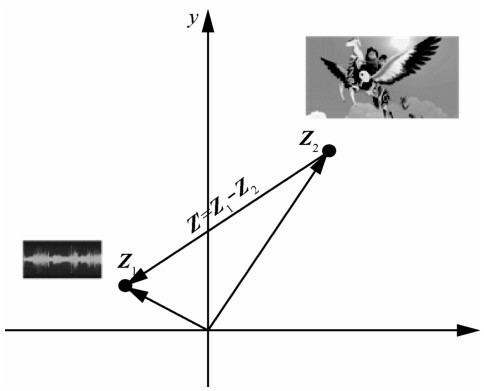 Hiding biomet-ric features in audio signals using Gram-Schmidt orthogonalisation[J]. International Journal of Electronic Security and Digital Fo-rensics, 2016,8(1): 63-81. 许志凯， 张宏莉， 史建焘 ， 等. 面向移动社交网络的位置隐私保护方法[J]. 网络与信息安全学报， 2015,1(12): 50-57. XU Z K , ZHANG H L , SHI J T , TIAN Z H . Location privacy pro-tection for mobile social network[J]. Chinese Journal of Network and Information Security, 2015,1(12): 50-57. HENGARTNER U . iding location information from loca-tion-based services[C]//The International Conference on Mobile Data Management. Mannheim. 2007:268-272. 吴文俊 . 王者之路—机器证明机器应用[M]. 长沙： 湖南科学技术出版社, 1999. WU W J . Theorem proving by machine and application[J]. Changsha: Hunan Science Technology Press, 1999. BERGMAN G . A number system with an irrational base[J]. Math Magazine, 1957,31(2): 98-110. PARRY W . On the β-expansions of real numbers[J]. Acta Math Acad Sci Hungar, 1960,11:401-416. KUNTH D E . The art of computer programming,vol.2:seminu-merical algorithms[M]. Addison-Wesley, 1969. KATAI I , SZABO J . Canonical number system for complex inte-gers[J]. Acta Sci Math, 1975,37(3): 255-260. 孙伟， 杨志华， 齐东旭 . 图像的复数表示及其在图像秘密分存中的应用[J]. 中国图象图形学报， 2004,9(11): 1331-1335. SUN W , YANG Z H , QI D X . 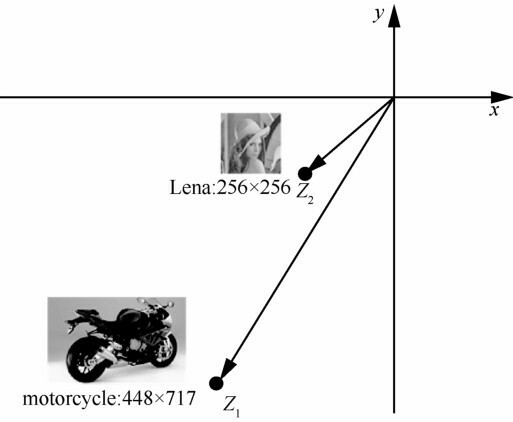 The conversion method from image to complex number and its application in image secret sharing[J]. Journal of Image and Graphics, 2004,9(11): 1331-1335. 朱喜玲， 陈伟， 宋瑞霞 ， 等. 复数基下的图像伪装算法[J]. 中国图象图形学报， 2015,20(5): 618-624. ZHU X L , CHEN W , SONG R X , QI D X . 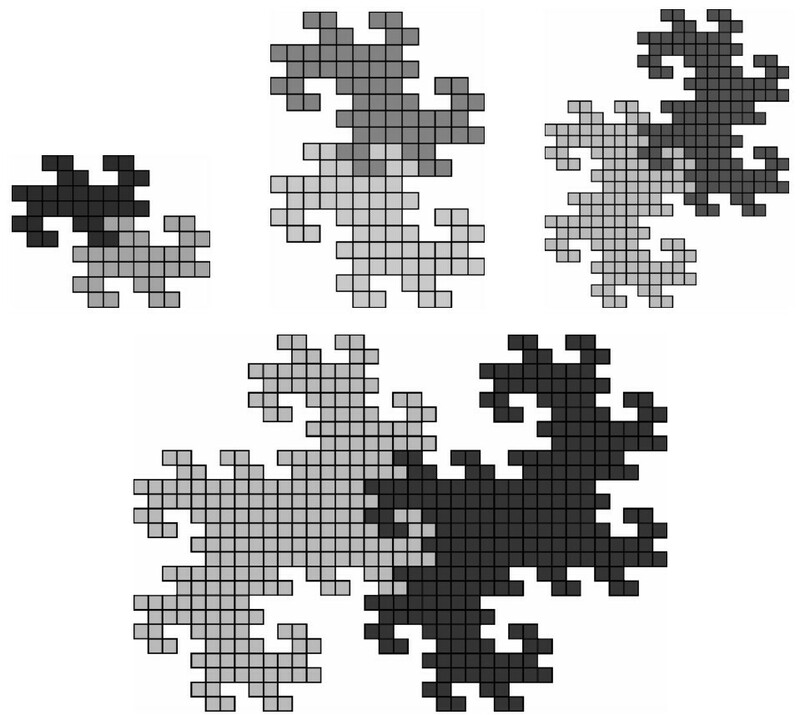 Image disguise algo-rithm based on complex number base[J]. 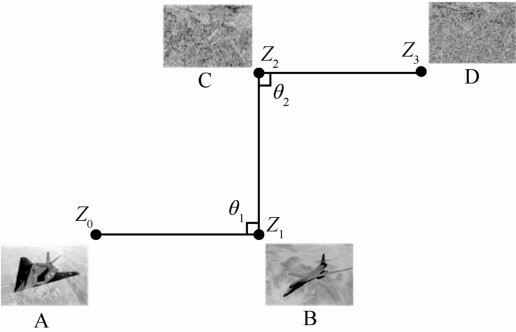 Journal of Image and Graphics, 2015,20(5): 618-624. 吕志恒,刘磊,陈思,殷赵霞. 基于非对称直方图修改的可逆信息隐藏方案[J]. 网络与信息安全学报, 2018, 4(5): 69-75. 严文博,姚远志,张卫明,俞能海. 基于二维码和信息隐藏的物流系统隐私保护方案[J]. 网络与信息安全学报, 2017, 3(11): 22-28. 杨洁,李松斌,邓浩江. 基于帧内预测模式调制的HEVC信息隐藏方法[J]. 网络与信息安全学报, 2016, 2(9): 30-39. 王康,刘琲贝,刘烁炜,胡永健. 简洁的JPEG图像隐写DCT系数选择方案和安全性增强策略[J]. 网络与信息安全学报, 2016, 2(9): 57-64. 杨杨,张卫明,侯冬冬,王辉,俞能海. 具有对比度增强效果的可逆信息隐藏研究进展与展望[J]. 网络与信息安全学报, 2016, 2(4): 12-20. 徐甲甲,张卫明,蒋瑞祺,俞能海,胡校成. 最优结构相似约束下的可逆信息隐藏算法研究[J]. 网络与信息安全学报, 2016, 2(2): 55-61. 张云霞,田烨. M2M应用浅析[J]. 电信科学, 2009, 25(12): 4 -8 . 王春芳,李春来,陈永涛,刘然. 卫星通信预警信息发布编码研究[J]. 电信科学, 2009, 25(12): 36 -40 . 鲜永菊,董灿,张祖凡,吴东伟. LTE-A载波聚合下的载波切换分析[J]. 电信科学, 2009, 25(12): 46 -50 . 庄 伟,宋光明,宋爱国. 用于未知环境的混杂传感器网络交互策略[J]. 通信学报, 2008, 29(11): 16 -127 .